As much as we’d all love for the price of food shopping to come down, the truth is actually much different. When I shop for Darcy and I, I try to have a good selection of fresh food – after all I want Darcy to have a mixed, healthy diet. This is working well because she isn’t a fussy eater – but it can be expensive! I have always loved a bargain, so a few months ago I thought I would have a look at ways I can save on our weekly household shop, and it’s working. One of the most effective ways to save money is by redeeming coupons on your routine shopping trips to the market. 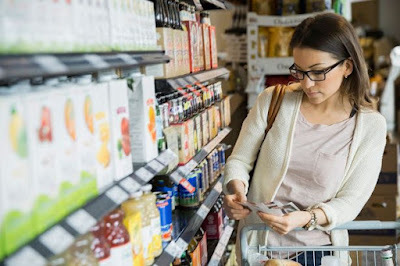 There are a lot of misunderstanding about coupons that how using them is only a waste of time or how there are no coupons that work for the brands that families usually use. I believe that every person should use coupons and that is why I am going to bust some common myths and misconceptions about using coupons. You can never find a coupon for the items you are interested in; it is what a lot of people say about coupons. What I have to say is that you can even find coupons for toothpaste and shower gels not to include other basic needs. I am a frequent coupon user and I believe if you do it right, you can literally walk out of a grocery store with a couple of items for free. I just managed to get some free ASDA coupons, and managed to cut down my shopping bill by £30. People also claim that there are no coupons available for non-processed foods, what they don’t know is that you can buy a jar Uncle Ben's for £1, which is originally £2.99. It is only one example. If you are a healthy living enthusiast then you would want to switch from junk and processed foods to the healthier options. There are a lot of stores like Tesco's, Sainsbury's and Morrison's that accept all kinds of coupons for their all-natural, organic food options. You can use a manufacturer’s coupon with the ones that the Whole Foods offer to save a lot of money on non-processed foods. Another thing that a lot of people relate to using coupons is that they think it is a lot of time-consuming thing to do. It might be true to some extent. But I think the only activity that takes time is arranging your coupons and clipping them together for the next time you go shopping is worth the money it saves. I prefer doing this task of clipping while I am watching TV or listening to music. There are a couple of websites on the internet that can help you save a lot of time because all of their coupons are already put together. Using coupons is a good habit for saving money and living a more frugal lifestyle. Do you use coupons? Have any other tips to save money? Let me know! Great post. Glad to sound your blog. Thanks for sharing.